running as fast as possible, which is why you are reading this section. The following will help you get set up as soon as possible. Open the top of the box. 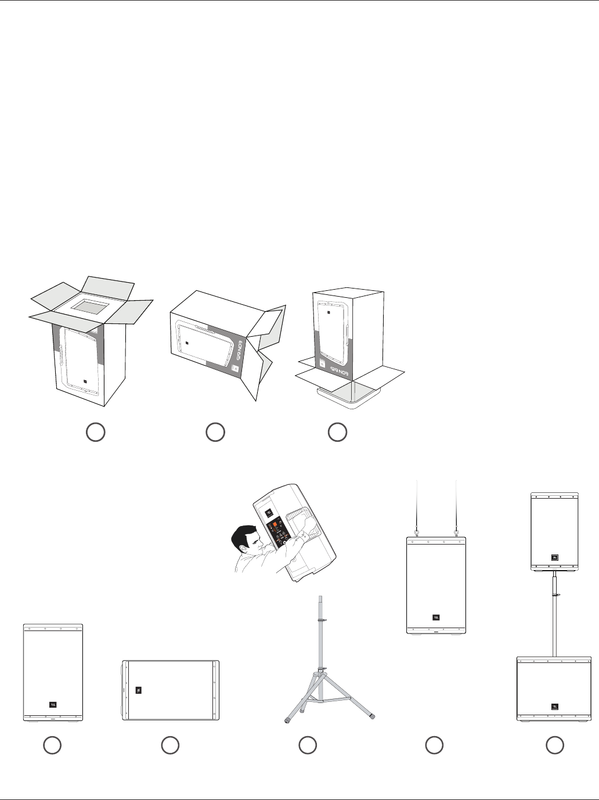 Turn box upside down, then lift box up to reveal speaker.Lay box on its side.